In the past a mobile phone was purely for talking to people on the move. Many of us remember car phones that were heavy, brick objects that would weigh you down and couldn’t possibly truly be called mobile. Nowadays, phones come with a staggering array of features and amazing processing power. Not too long ago, most computers were lucky to have a 32 GB memory. Nowadays, it is possible to get more than 128 GB of memory in a phone, utilizing external storage SD cards. Despite all these features and all these functionalities, sometimes, you just need a phone. A prime example was when I went to look at nurseries recently for my infant. The phone held by the leader of the nursery was a very basic phone. She explained that they were not allowed to have cameras in the business for legal reasons, and they therefore needed a very basic phone with decent call quality. Sometimes, in our personal lives, all we need is a phone. We don’t need satellite navigation. We don’t need Internet browsing. We don’t need the 700,000 apps that are available on Android. In these cases, it is best to sometimes opt for a cheap phone with good call quality that looks pretty decent. Does Cheap Mean Bad Quality? There is a misconception that cheaper phones are just bad phones. In reality, it is clear when you look at the market the higher up you go in the smart phone market, the more functionality and higher specifications you get. Stripped back to the bare essentials, phone technology is actually very cheap to produce to a high quality. It is possible to buy sturdy, reasonably attractive phones that will last, for budget prices without having to accept a phone that you would consider bad. The kinds of things that cheap phones don’t have have been highlighted above. But obviously, as well as not having a high-end camera, perhaps amazing Internet browsing and video recording, the phone will likely also have a small processor. Nowadays phones come with Dual or Quad Core processors and have 1.5+ MHz. This will not be required to make calls and send texts, and so cheap phones don’t have them. When you try to enter into more CPU-intensive activities on cheap phones, you often find the phones staggering, stuttering, and sluggishly failing to complete the tasks. These are the occasions the phones end up being bad. When the processor is not good enough for the functionality that is incorporated on the phone, it becomes very frustrating, and you end up having to take out the battery and reboot the device on a constant basis. 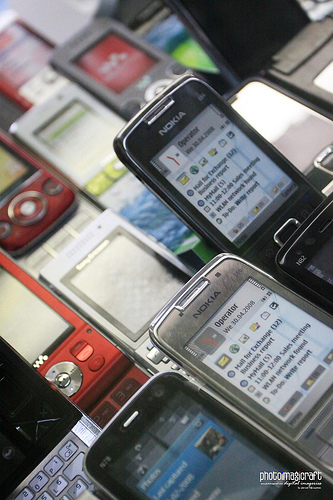 When buying cheap phones, you can either buy SIM-free, PAYG, or even get a cheap contract. Contracts start from as low as £5 or £6 per month. And so it is possible to spread the costs while receiving a monthly allowance of minutes and texts. Many people are persuaded to up their budget and jump up to £10, to £12 or even £15 a month contracts. And for this, you can get mid-range smart phones, which are far more powerful. Problem is, if you don’t need it and are not going to use the functionality, then there is really no point, and you might as well stick to the lower end of the market, as long as you can find the phone that you like and suits the purpose. Phil Turner only needs the cheapest phone he can find that has buttons big enough for an adult to use.